Saturday & Sunday Brunch - 11-4pm. Monday- Wednesday Dinner 4pm - 12. Thursday - Saturday Dinner 4pm-1am. Take the F train to Second Ave.
On special occasions, mariachis present to heighten the festive atmosphere. Please contact the restaurant directly with questions. Buffet stations, prix fixe menus, family style menus, passed hors d'ouvres, etc. In ancient Mexico, when Quetzalcoatl transformed into The Black Ant and journeyed into the mountain, he found corn and seeds and gave these to man. This generous gesture created the essence of Mexican cuisine. Now The Black Ant offers an invitation to you to forget what you know and come with him, to his Mexico, to his New York City… to his heart. 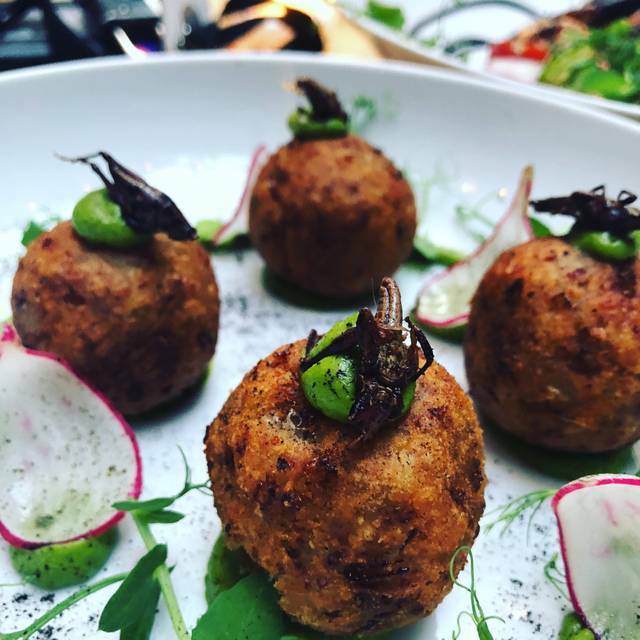 Jorge Guzman and Chef Mario Hernandez bring you, The Black Ant. A modern Mexican restaurant focusing on the traditional and uniquely sourced ingredients of Mexico in a contemporary, “Cocina de Autor” in Manhattan’s East Village. Chef Hernandez shares his vision of Contemporary Latin Cuisine, harmoniously paired with Jorge’s innovative handcrafted cocktails and together with their partner Cliff Fried; they bring you their passion and love and look forward to having you. 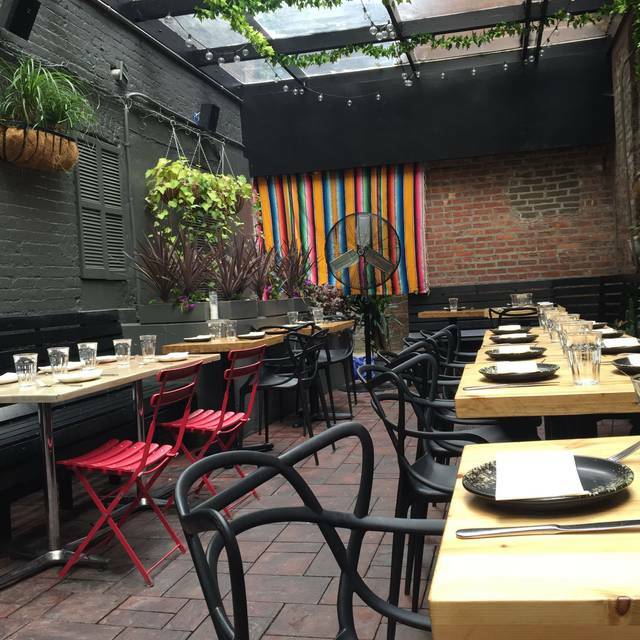 An excellent Mexican restaurant in the East Village that might serve you some of the most inventive plates you’ve seen in awhile. We love this restaurant group. Food was fantastic always and they made a lovely occasion of our son’s birthday. Fun to try. Drinks were great. Everything was great and the servers are amazing! I’d recommend maybe better planning when it comes to the table selection. We were in between two big parties but one of the parties seemed crammed. It would have been ideal to have move us and give them our table and sit us somewhere else. Just a thought! But everyone was so nice and great - definitely will go back! THANK YOU for all of your hard work! The food was very average, not what I expected considering this was recommended by Time Out magazine. The service was terrible! Our main course arrived before the starters and the drinks arrived half way through the main meal. The dessert of Churros was terrible, a hard fried wheel of fat. Please don’t waste your time or money by dining here when there are plenty of better Mexican places in the city! Horrible experience. Had an 8:45pm reservation and were seated closer to 9:00pm. Once we sat down we ordered platanos 2 drinks and 2 orders of tacos. The platanos came out in 2 minutes and were cold and very mushy so we sent them back. Then we got our tacos, they were very good. The drinks never came so we said to cancel and paid for our tacos then left. Would not recommend or come back. Excellent service, cool space, second best ceviche I’ve ever eaten both inside and outside of peru. Great Cocktails! 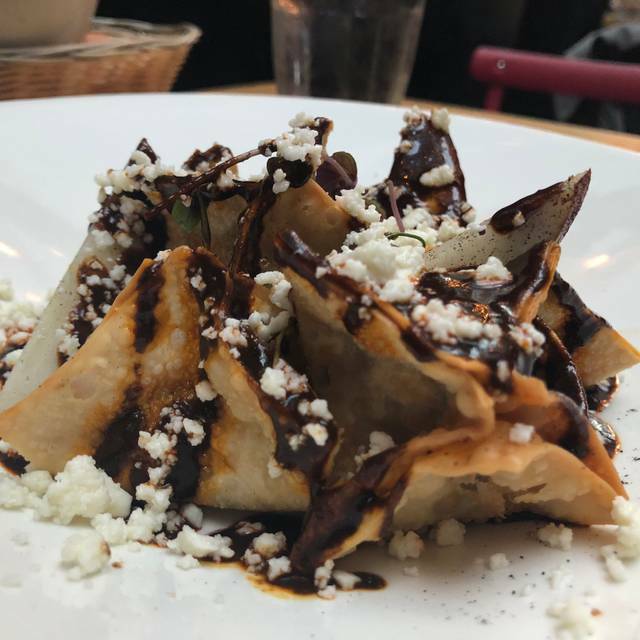 The duck dumplings with mole with AMAZING. The only downside is how loud it was in the restaurant. It made it difficult to have a conversation with the person next to you. 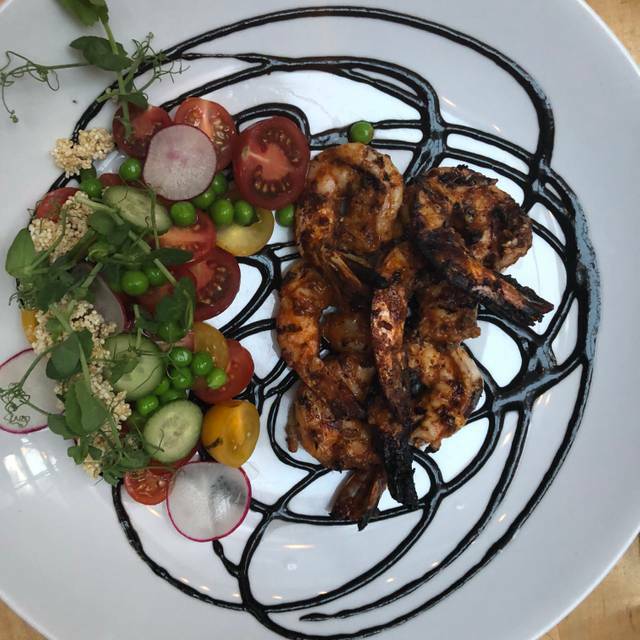 The Black Ant is always great for lunch or dinner. 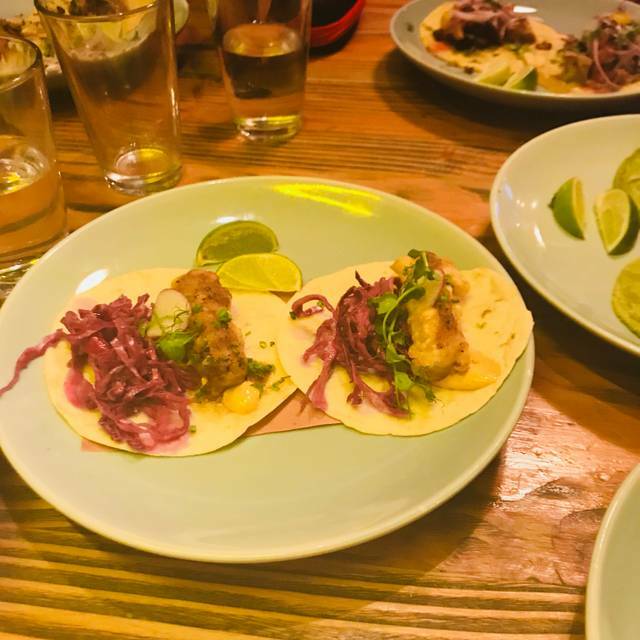 Came in with family members and enjoyed the happy hour drinks over the weekend (smoky-jalapeño margarita and classic margarita) and quesadilla, fish tacos, and octopus tacos. The food is outstanding and the drinks are awesome. We always come every week and it never fails to deliver! 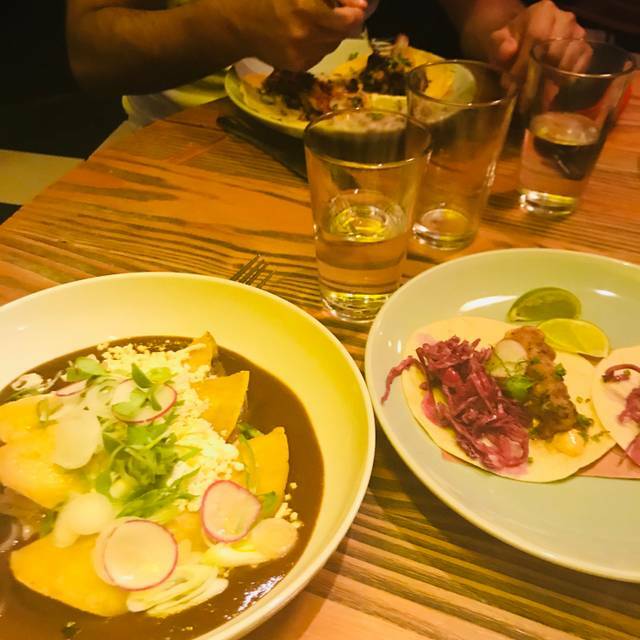 Really good Mexican-American food and they always have a high standard in both service and food quality and drink qualities. What a wonderful place. Tasty food. Superlative service. It was literally soooo good. Very interesting evaluated food. However, it was quite expensive. Portions were way too small for the price. I was very surprised it felt more like a French restaurant then a Mexican restaurant. Next time I will go to a French restaurant instead..
Our waitress Gimena was incredible and really made the experience great - would go back for her service alone! We loved it! Had a great meal. Wonderful service, delicious, interesting food. 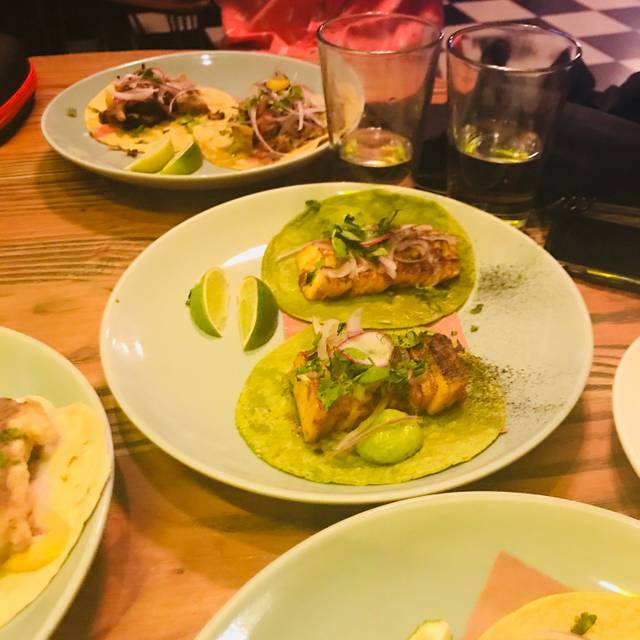 We didn't get to Mexico this winter - but the food at the Black Ant far exceeds our gastronomical experiences there - and we eat well there - we eat phenomenally well at The Black Ant! The Black Ant is my absolute favorite place for brunch. The drinks are absolutely perfect, but the FOOD...omg. The food is so unbelievably tasty. Try the pulpo, because always so perfectly cooked. I get it every time I go, and I’ve been about 5 times now. This place is also very well decorated. Good vibes and a polite staff. Worst Experience. Fish tacos were really fishy that I couldn't even finish one taco. Everything was really mediocre or worse. Their waiter even intentionally gave me changes minus a dollar because he didn't have any single bills!!! He didn't even say sorry that he didn't have any single bills! This brunch was just fantastic, huge portions of scrumptious food. The staff was fantastic and the decor was just the right amount of funky. Fantastic! WOW - just WOW - beautiful restaurant, which we would never have discovered had friends from out of town not been interested in the bugs on the menu - fear not - its not all bugs - but the handful of dishes with bugs makes it that much more interesting. The food was beautiful, flavorful, and even when with insects - just all delicious. The service was wonderful and helpful. The menu is Mexican with a touch of insects (grasshopper and ant). Go - try it - I'll bet you'll like it! SUPER SLOW SERVICE ! MOST of the dish’s on line where off the menu ! I CAME for some dish’s that they took off the MENU was not happy ! BEST thing there ,was happy HOUR ! Not planning on going back. Service was poor and inattentive, and they're annoying about "substitutions" for example if you do bottomless brunch, you can't do a normal bloody mary, they only want to serve bloody marias with tequila in them. What difference does it make to them?? I tried ordering hueveos con frijoles and wanted the eggs sunny side up, but nope! 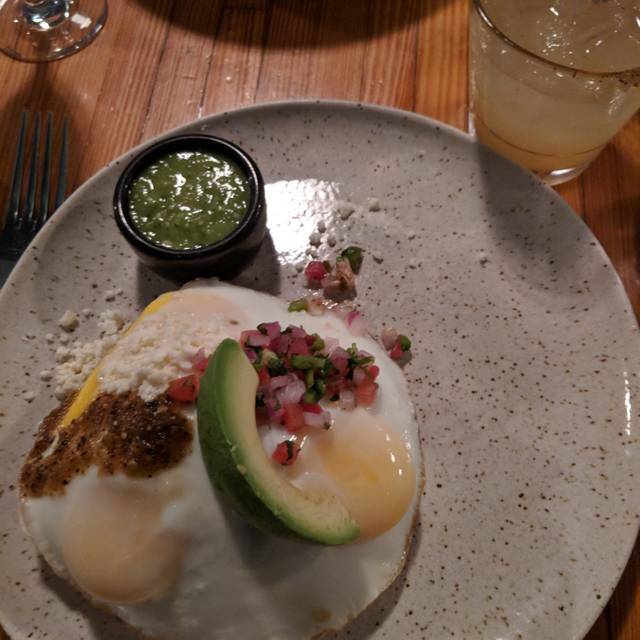 So I had to order the chilaquiles which did have the eggs cooked sunny side up, and asked to add the frijoles, which they then charged $6 dollars to add on! Which is a bit ridiculous considering the whole dish was only $15 to begin with. 30% upcharge to add some beans? OK, cool. Service was friendly and had good timing. Food was average to not great. People come for the gimmick rather than the quality of the food. The food is good there, some stuff that you won't find anywhere else. Portions are small, which I consider positive. However, the prices are ridiculously high, in my opinion the food is not worth those prices. For a family dinner for 5 I've paid 350$, only 3 drinks, the rest were appetizers, main dishes and desert. 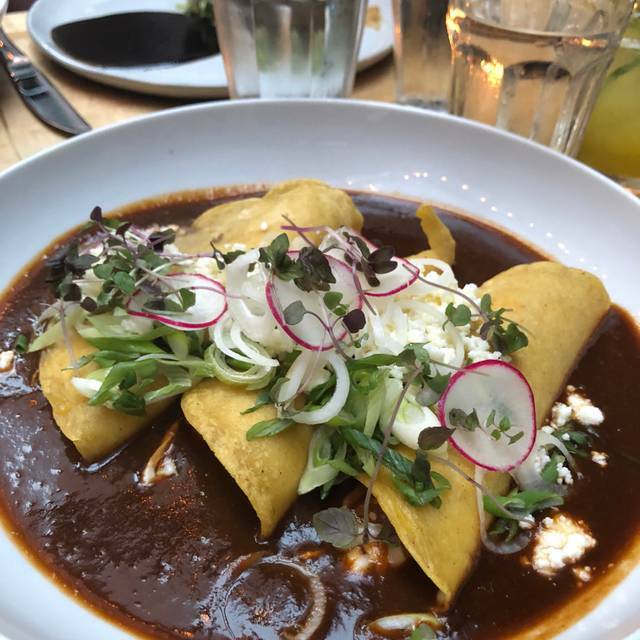 After coming back from Oaxaca a couple of weeks ago, it's painful to pay 10x the price for this meal in the East Village. Good food, great service. Their brunch menu isn't as fun and out-there as their regular menu, but still some really tasty and unique dishes if you're looking for a decent Mexican brunch. Loved the enmoladas in particular. Service was a little slow but not bad. Also one of the cutest, best-designed restaurants. Food is delicious and interesting and portion and presentation were perfect. Staff is extremely friendly and helpful. My boyfriend and I came here for Friday night dinner. We had the grasshoppers, ceviche, lechon tacos, and duck dumplings. Honestly, their preparation of meat (pork and duck) was disappointing - mushy and overcooked, which is why I gave them 3 stars. I enjoyed the grasshoppers and ceviche though. It’s a cute place, but service seemed a bit slow. Excellent creative Mexican food. No missteps for 3 of us on food or drinks . On a Friday night at 6:45 it had begun to shift from an atmosphere where us oldies but goodies could hear each other well from low to moderate to moderate to noisy. I had been their before and had to be convinced to try it again because of the din. My boyfriend and I headed there for date night. He was a fan of their margaritas. I really enjoyed the shrimp tacos and a dish that has shrimp with peas. The guacamole was really tasty too. Great ambiance. Would definitely go there again! Very interesting restaurant. Adventurous taste is a must. The food was unique which was the reason we went here in the first place. First time we tried grasshopper ice cream and black ant on a guacamole. It was a good place to eat before going to the comedy show just across the street or so..
We were the first ones there on a Sunday. Great vibe, ambiance, food was good and we took advantage of the bottomless drinks. Overall great time! We had a pretty good experience. The food was good, however, my friend was allergic to onions and her dish contained many. She’s very nice and refused to send it back (so it’s unfortunate that she didn’t have a meal), but afterwards we were offered a free drink each after at the bar. Great food and service. Don't let the insect portion of the menu deter you; it's a small part. However, the roasted grasshoppers were the best I've ever had (and yes, that sounds weirdly pretentious, but I have had fried grasshoppers several times)! All the food at our table was shared and we could not pick a favorite. Decor of the restaurant is ant-tastic! Loved the experience at Black Ant. Went with my family for the bottomless brunch and it was fantastic. They were on top of our drinks, and always kept them filled. The food was probably some of the best food I have ever had. I definitely recommend going to Black Ant. We arrived early enough to enjoy the happy hour menu which consisted of $5 beer and $8 margs. The food was also good that they had on the menu and didn't feel like a "bar menu". Thought the prices on the regular menu were a bit high, so would definitely recommend trying to arrive before 7pm during the week to get the happy hour deals.